Mumbai, 17th April, 2016:US-based Indian fashion designer Premal Badiani who recently showcased her collection at New York Fashion Week &Porche Runway 2017 will now be available at Mumbai’s multi-designer stores - Kimaya and FUEL. The brand is an Indian-International brand with heart and soul like no other. It is synonymous with sophisticated drama, feminine motifs, unabashed grandeur and contemporary structure with romantic, corseted silhouettes to regal traditional designs. The brand is known for its craftsmanship with high-end, fashion forward designs with fluidity, elegance and glamour for both men & women. Fine silhouettes, defined cuts, sequinned outfits, intricate work and classy colours are the mainstay of the clothes. 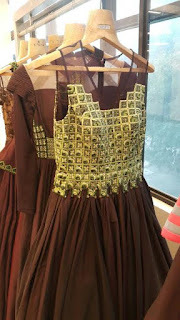 Moreover, the brand ensures that the only the best material is used for each garment whether exotic pure cotton, chiffon or even the exquisite trimmings which are sourced from around the world. However in an industry where it's easy to get self-absorbed when it comes to fashion, the fashion brand is one that has a lot of ‘heart’ and focuses on raising awareness on world issues other than just selling clothes. Premalwith her continued patronage and expertise using eco-friendly fabrics, has set the stage for a fashion revolution where designs now have a ‘conscience’. The collection –‘Root Cause –clothes made from wood pulp’ that she showcased at New York Fashion Week on 14th February, 2017 was her first step to raise global awareness on the human impact on the environment. The brand also supports education for girls, raising funds for The National Brain Tumour Society, working towards safeguarding rights of children through sponsoring education and livelihood for underprivileged kids. The brand continuously works with charity associations and not-for-profit organizations to give back to the society, both in India and the US. Premal Badiani believes that it doesn’t matter if you are an individual who is an entrepreneur, a fashion brand or just someone with the willingness - we all can make a difference even in the smallest way if the intention is right. The brand epitomizes global glamour with an Indian sensibility, featuring meticulously crafted designs ranging from understated to opulent.Driven by artistic, modern and luxurious design and style, couture-like quality and a high level of customer service, the label Premal Badiani holds an impeccable customer appeal.It is a great opportunity for fashion enthusiasts to now visit Kimaya and Fuel in Mumbai to pick up their very own Premal Badiani outfit. Kimaya and FUEL are two of Mumbai’s largest multi designer fashion stores that bring some of the world’s best fashion labels to India. 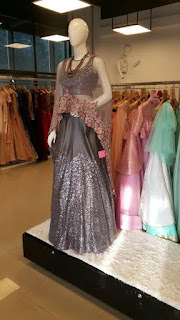 Kimaya has 16 stories in total, and brings collections of more than 180 designers under one roof providing the perfect opportunity for fashionistas to indulge in fine Indian fashion. FUEL is an upmarket fashion and lifestyle store. It houses prêt, diffusion, home accessories, fashion jewellery, hang bags, saares and designer menswear spread over 5000 sq. 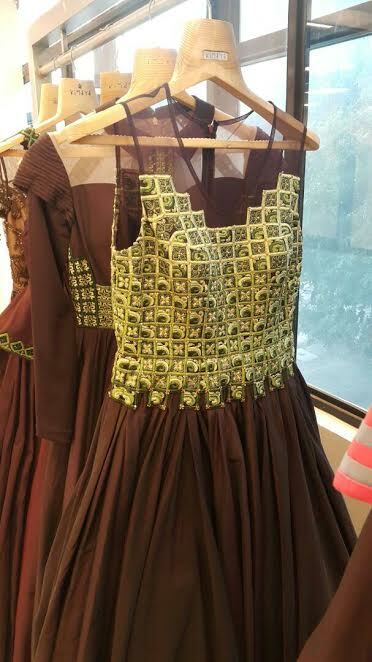 ft.
Premal Badiani commented saying, "I am very happy that my Indian consumers now have easy access to my collection. Kimaya and Fuel are some of the biggest multi-designer fashion stores in India & we as a brand are overwhelmed to have our collection there. We are looking forward to a great response from Mumbai"